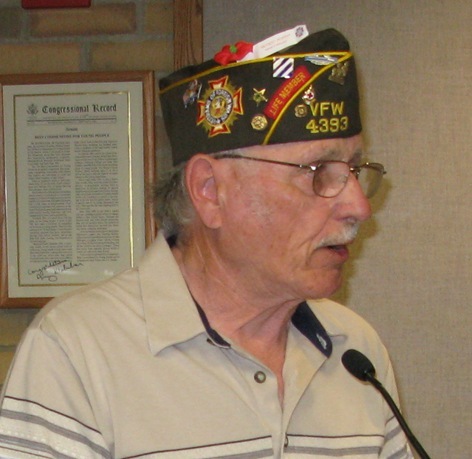 Charlie Wells, VFW Post 4393, and Millie Johnson, VFW Auxiliary, handed out poppies at Monday’s Northfield City Council meeting. 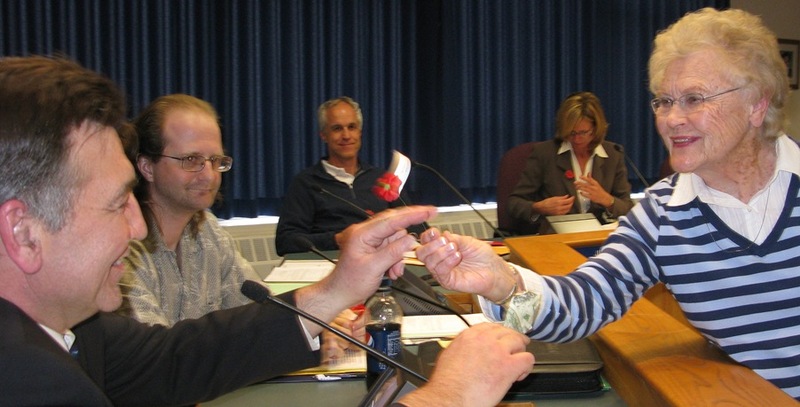 The Council proclaimed Saturday, May 9th as Northfield’s Poppy Day. See Jane McWilliams’ Poppy Day blog post on Northfield.org for more and this paragraph in the Wikipedia for the significance of the poppy.